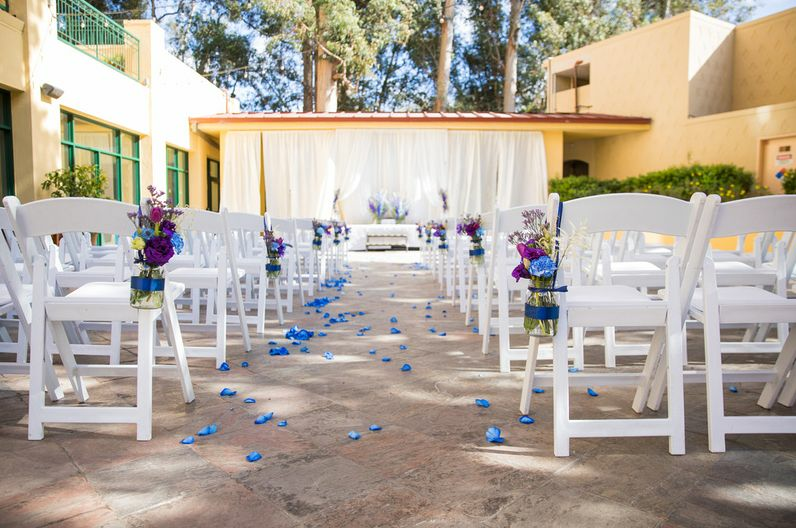 Crowne Plaza Palo Alto is a historic wedding venue located in Alto, California. 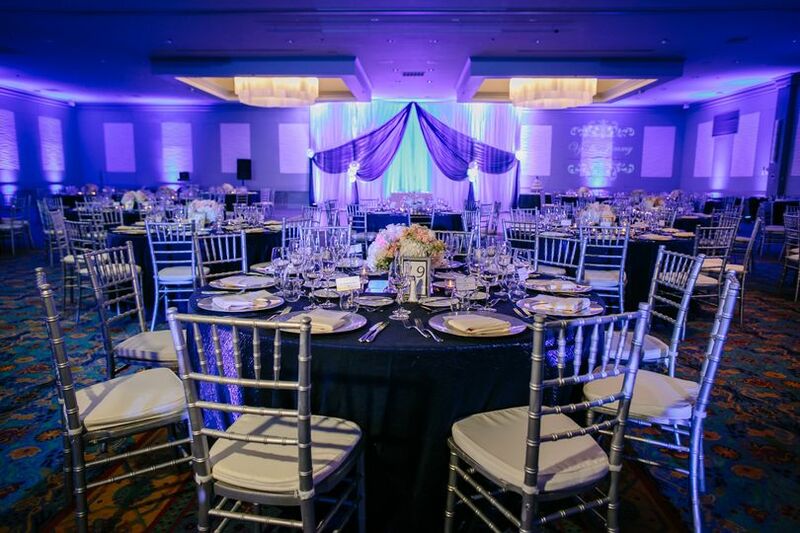 Whether you are looking for a large scale venue or a more intimate setting, the Crowne Plaza Palo Alto can bring all of your hopes and dreams to life. 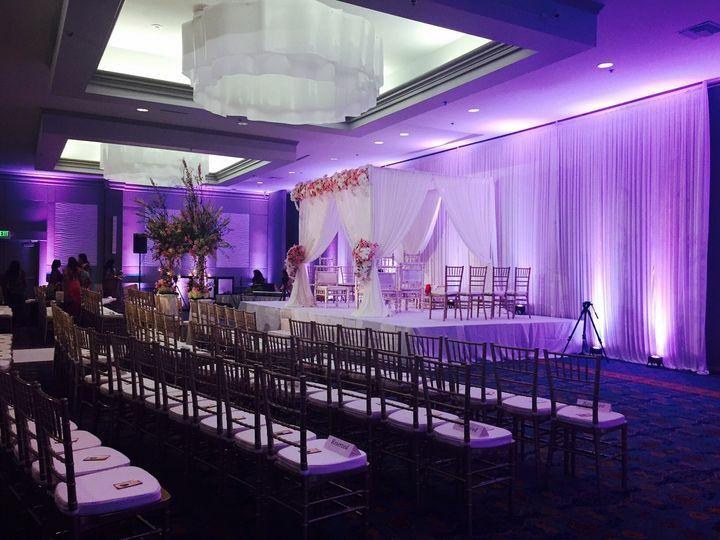 The Crowne Plaza Palo Alto have a multitude of different event spaces that vary in size. Made up of 13 spaces to choose from, the maximum capacity is 650 people. 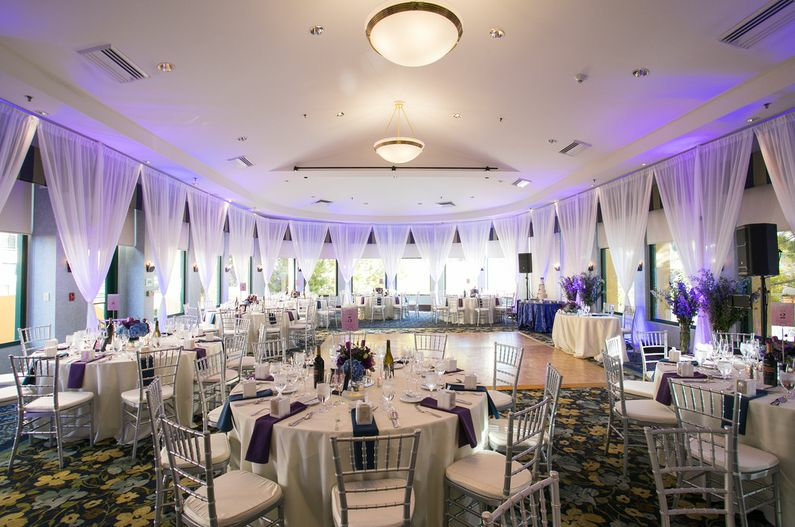 If you are looking for a spacious, outdoor courtyard, look no further than the Grand Mediterranean Ballroom. If you have a smaller, more intimate area in mind, the Cypress Room which is the facilities most popular space, can fit 100 of your closest friends and family members. 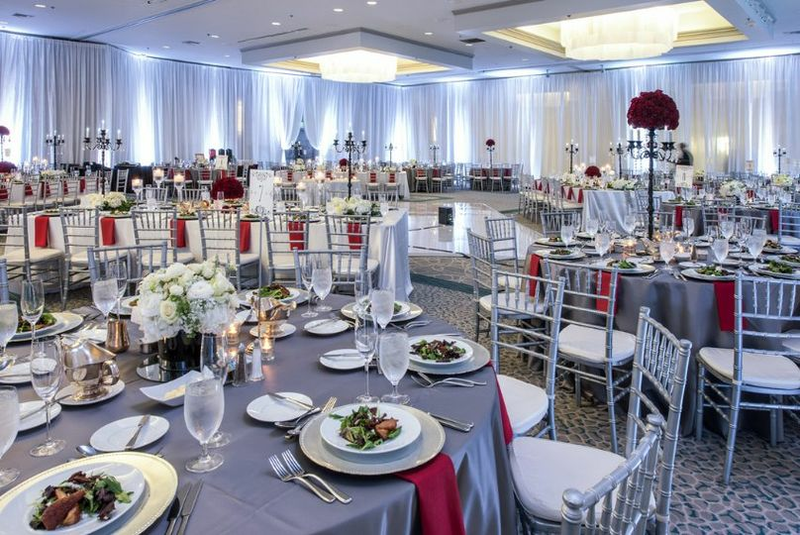 Crowne Plaza Palo Alto offers a number of different catering options to suit any taste and dietary needs. Some of the catering options include a buffet, tastings, cocktail reception, family style, plated and stations. The food and beverage items that come with the culinary services include barware, flatware, linens, china and glassware. This gorgeous hotel was originally owned by Doris Day. 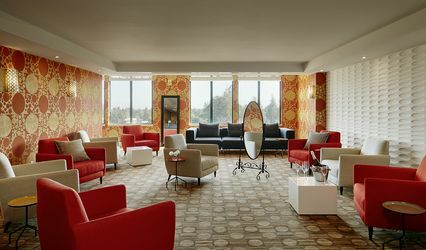 Since it has opened its doors in 1962, Crowne Plaza Palo Alto has seen many different celebrities walk through its doors. Perhaps some of the most notable celebrities include the Beatles. We had our wedding reception here and it was PERFECT!! We had 210 guests in the main ballroom but the facility is very flexible for larger or smaller groups. The catering manager, Marisa, was amazing to work with. 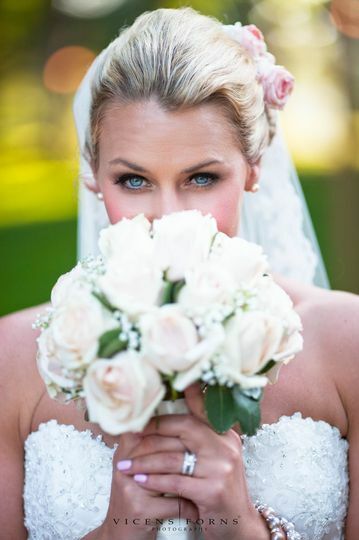 She was on it with every detail and very flexible and accommodating to make our reception everything we wanted it to be. She was very sweet, fun and pleasant to work with too. Our group rented 37 rooms for the weekend and everyone had a wonderful stay. The staff at this hotel are very friendly and helpful. We also had a large brunch Sunday morning and John, the restaurant manager went out of his way to make our groups experience great! The food at this hotel is wonderful - the reception banquet and brunch were far above the usual hotel fare. I highly recommend Marisa and her team for any event you are hosting in Palo Alto. 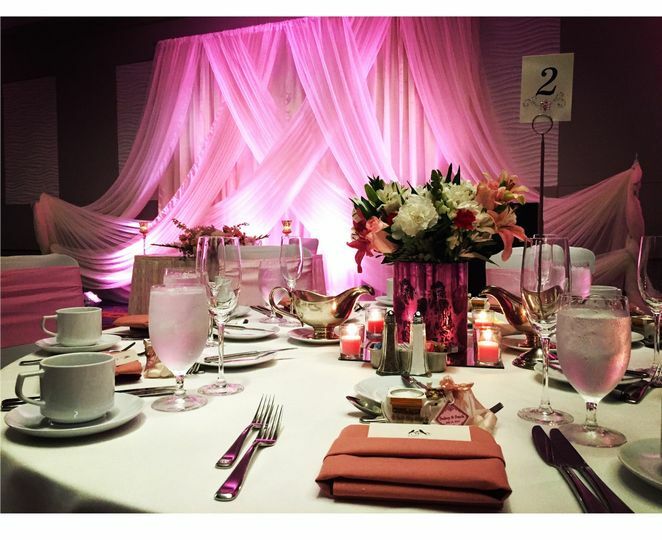 My husband and I had an AMAZING wedding reception experience at the Crowne Plaza Cabana. Hristo did absolutely everything he could to make our day as stress-free and smooth as possible. 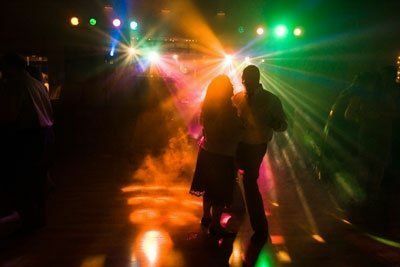 Throughout the entire planning process, he was always very quick to answer any questions, connect us with vendors, and alleviate any worries. As we got closer to our wedding date, he made sure that we set aside time to go over all the details (from room layout, vendor information, individual guest's special dietary needs, etc). Both the dinner and the morning brunch were delicious. 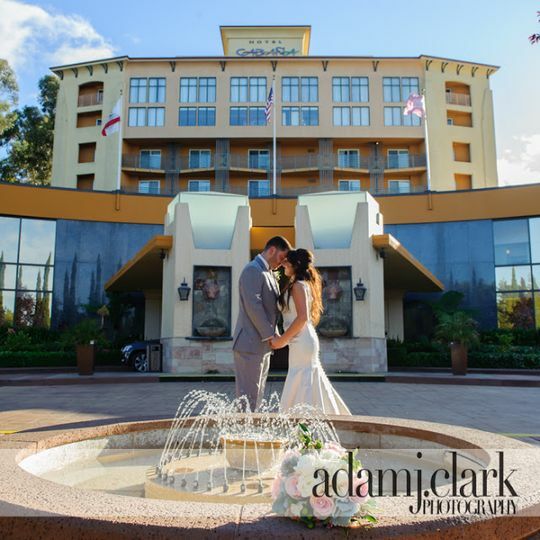 The entire staff was very courteous and welcoming to our guests, which we really appreciated because most of our wedding guests were from out of town. 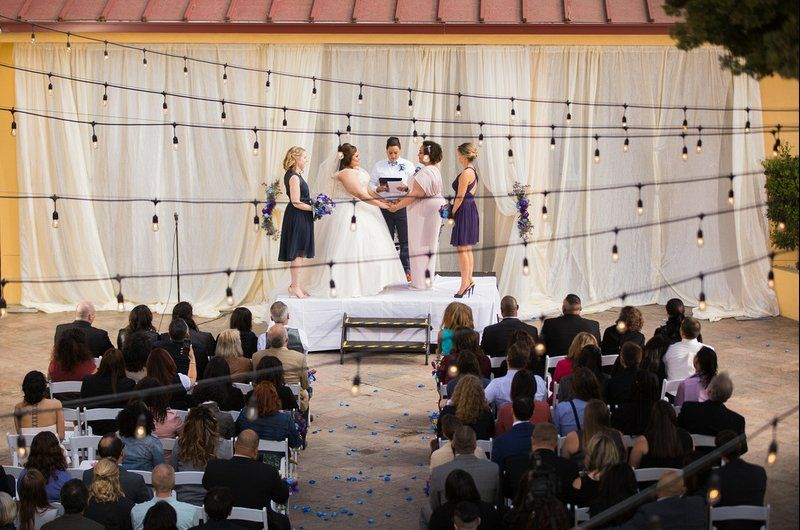 They truly went out of their way by all means possible to ensure that we (as well as our families and guests) had a wonderful wedding experience. We could not have chosen a better venue for our big day!! Thank you so much for everything that you did for us!! Are you still looking for a venue for your summer wedding! Book the Emerald Package and automatically bump up to the Sapphire Package! 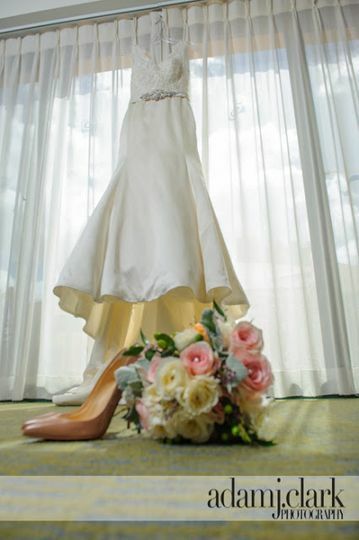 Which includes bridal party "get ready" room and brunch for the bride and groom! A great facility with accomodating, friendly staff...We are always glad to work with the Crowne Plaza Cabana Hotel in Palo Alto. My trio entertained at the Crowne Plaza Cabana&apos;s wedding fair last Sunday. What a sensational afternoon! Highlights featured a dazzling fashion show and an informative panel discussion about wedding preparations a bride can "do herself". In addition, dozens of top event professionals displayed their services and spoke with guests circulating in the hotel&apos;s gorgeous ballroom. It was wonderful to be part of an outstanding showcase and work with the hotel&apos;s Catering and Events team, particularly Diana Wittenbrock and Sherleen Eng. Because too many shows at other facilities are so-so these days, this one really stands out. Every presentation was superb, showing what a difference it makes when EVERYONE involved pays special attention to the finest details. 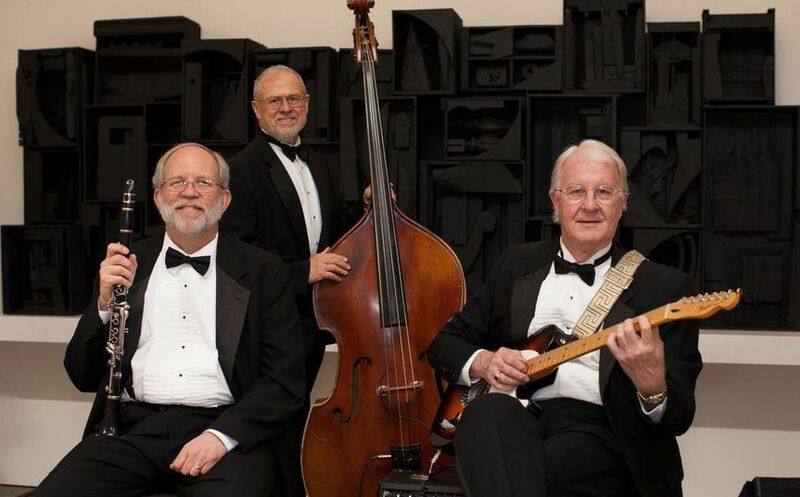 My band works at the Crowne Plaza Cabana often, and we&apos;ve come to expect a flawless celebration every time.